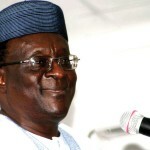 The Chief Gani Fawehinmi Annual Four (4) Million Naira Scholarship Awards For Forty (40) Students is open for application. Applications are invited for Gani Fawehinmi Annual Scholarship Awards 2014. The Awards will cover 2013 and 2014. The award is for 40 (Forty) students each of whom will receive One hundred Thousand Naira (N100, 000.00) making a total sum of Four Million Naira (N4,000 000.00). (2) Applicants must be registered students of tertiary institutions in nigeria i.e Universities, polytechnicsand colleges of education. ii. A letter from the candidate’s current Head of Department, including correct information on the candidate’s CGPA for the last academic session. v. Two (2) current passport photographs. Gani Fawehinmi Schorlaship Board Nigerian Law Publications House Otunba Jobi Fele Way, C.B.D., Alausa, Ikeja. P.O. Box 80279, Lafiaji, Lagos. Gani Fawehinmi Schorlaship Board c/o Dr. U.A.U. Onyebinama, Chairperson ASUU, Department of Agricultural Economics, Michael Opara University of Agriculture, Umudike. Gani Fawehinmi Schorlaship Board c/o Dr. M.K. Aliyu, Chairman ASUU, Ahmadu Bello University, Zaria, ASUU office. Successful candidates will be awarded the scholarships on Thursday, September 11, 2014 Otunba Jobi Fele Way, C.B.D., Alausa, Ikeja. P.O. Box 80279, Lafiaji, Lagos at 12.00 noon. NB: Students who have won the schorlaship are not eligible.